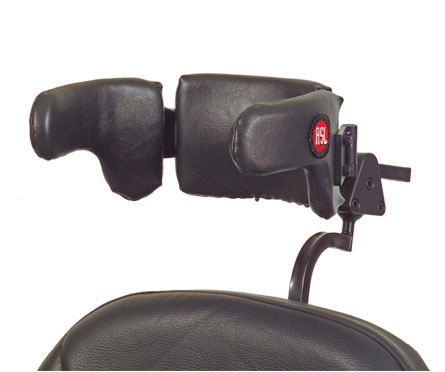 The ASL 105 Electronic Head Array system utilizes three non adjustable proximity sensors placed inside a headrest for control of a power wheelchair. The sensors are mounted inside the right and left wings, and control movement in those directions. The sensor mounted inside the back pad controls movement in a forward or a forward and reverse direction depending on how the chair is programmed. Veering is accomplished by activating the sensor in the back pad along with either the right or left sensor. This alternative driver control system is typically used for individuals with Cerebral Palsy or with anyone that has difficulty with motor control or coordination. It has been highly successful for these individuals due to the no pressure feature of the proximity switch.